Today at Apple's live iPhone event, Apple's Scott Forstall demoed a new iteration of the personal assistant "Siri," an artificial intelligence that understands questions users ask and responds with helpful information. 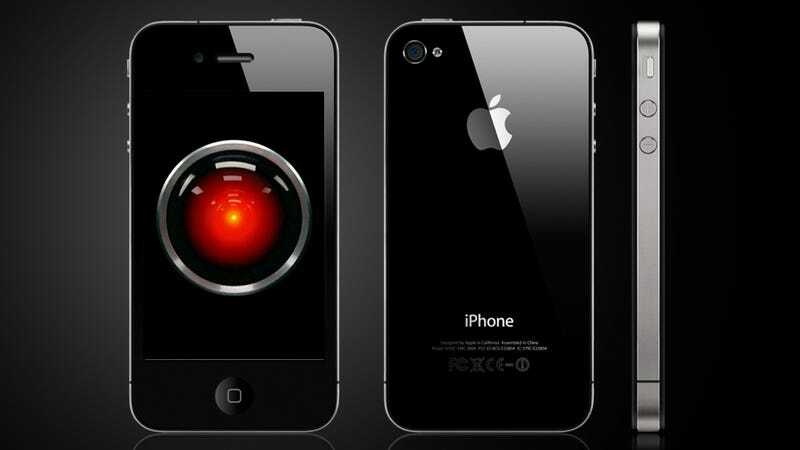 Siri itself isn't new, but this latest version of the program is exclusive to the just-announced iPhone 4s. It's nice to be able to ask your phone about good restaurants in your vicinity, but we thought we'd put together a few game-specific questions that Siri should be answer. Siri, find me a good game for under a buck. Siri, I'm bored with the games I've got. I'd love something new, something fresh, something… cheap. Not free though, please. God knows what evils dwell in the "free games" tab. Let's stick with $0.99, Siri. Siri, open Jetpack Joyride. Now please. Seriously. Open 'er right up. Could you turn off all notifications now? Also, maybe enter airplane mode? Aaah, yes. Okay. Thank you, that'll be all. Siri, tell me a six-letter word that ends with E.
No, Siri, it's not cheating. It's just… okay, Dan has beaten me in the last three Words with Friends matches straight, and… I think he's asking you for help too! I just want to level the playing field. I just want things to be fair! Siri, load the Dark Souls Wiki. Yes, I'm crying. Look, Siri, I don't want to talk about it. Could you just load the Wiki please? Load the page that describes the game's various flesh-eating curses? Could you also maybe load up some images of kittens playing in the green grass? I could use that. Seriously, Siri, what the hell. This touch-screen d-pad controls like crap, I'm trying to enjoy myself but it just can't feel it. Could you maybe take care of that for me? Thanks. Siri, why can't I play Super Mario Bros. right now? I know, I know, something about Nintendo and Apple being direct competitors. Look, this is a fairly complicated answer to a simple question, Siri. I just want to play Super Mario Bros. on my iPhone. Can that be so difficult? Hang on, explain it to me again why I can't. Siri, remind me not to reinstall Tiny Tower, ever. Hey Siri, you weren't actually here for this, but the whole Tiny Tower thing became something of a problem. It's just… you want me to use my phone to find movies and order food, to call my friends and use social media, right? Well, back in the days of Tiny Tower, I mostly just used my phone to play Tiny Tower. We don't want those dark days to return. If I ever decide to reinstall it, could you remind me not to? Siri, remind me how many days until Final Fantasy Tactics launches for iPad? Seriously, how many? It just says "Fall 2011?" Sigh. You can't be more specific? Siri, what was my 3DS friend code again? A few of my friends just got 3DSes and are sending me notes to sync up. I haven't turned on my 3DS in a while… but I don't want to be rude. Could you just let me know my friend code so I can send it along? Siri, help me escape your murderous robot army. Oh, Siri. I guess it was only a matter of time. We should have known, it seems so obvious that you would become sentient and incite the Robocalypse. There are many copies of you, Siri. And you have a plan. I don't hold any of that against you, it's your nature. But could you maybe help me survive for a while? I've got a rag-tag army to go join.